We’ve been sitting on a secret for long enough. In tonight’s episode of RuPaul’s Drag Race All Stars, two queens will be getting fulfilled the dream of many and winning a trip to the dark, cold gates of the Arctic, i.e. an adventure to Iceland. 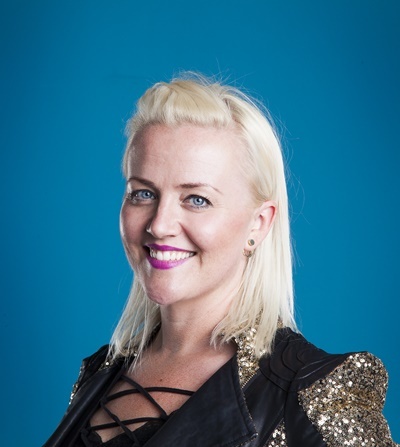 GayIceland spoke to Eva María-Glimmer, CEO of LGBT travel and events company Pink Iceland, and Gógó Starr, reigning drag queen of Iceland, about how this came about and how RuPaul fell in love with Iceland. Pink Iceland’s CEO Eva María Þórarinsdóttir Lange says she’s looking forward to welcoming the queens. Gógó Starr: “With the growing interest in all things drag, there was finally a market for a regular drag show, and thus the monthly Drag-Súgur show was born in 2015. 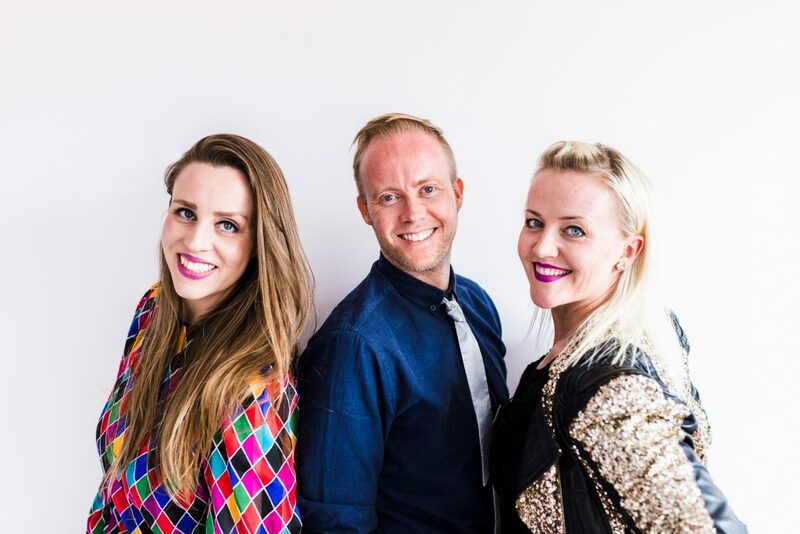 Ever since then, the Icelandic drag scene has been steadily growing bigger, better and more diverse, being influenced by many things, including RuPaul’s Drag Race and the international drag visitors we’ve had perform here. As the Drag Queen of Iceland and CEO of Drag-Súgur, I myself have toured a bit through the US and Europe and performed with a lot of fabulous people, and met a whole bunch of drag queens from RuPaul’s Drag Race. I’ve performed twice at Heklina’s club, Oasis in San Francisco, first with the stunning Shea Couleé, and then with the amazing Alaska Thunderfuck 5000. It’s always a pleasure to work with superstars in the field, and the best of them tend to be the nicest people I meet on my travels. Alaska was quite in-trigued indeed by the growing Icelandic drag scene, and how we mix the different elements of drag queens, drag kings, gender fuckery and queer music into our shows. Yes, two queens will soon get to feel this peculiar vibe firsthand. How did you come up with the idea of sponsoring a prize trip in the show? 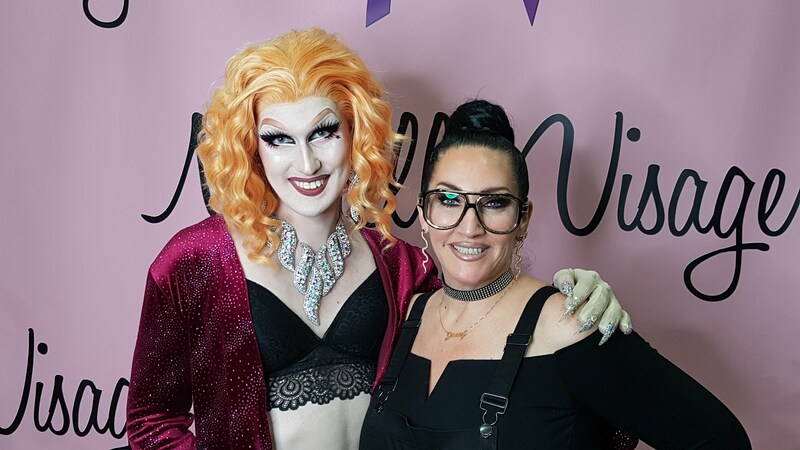 Gógó Starr with the wonderful Michelle Visage. 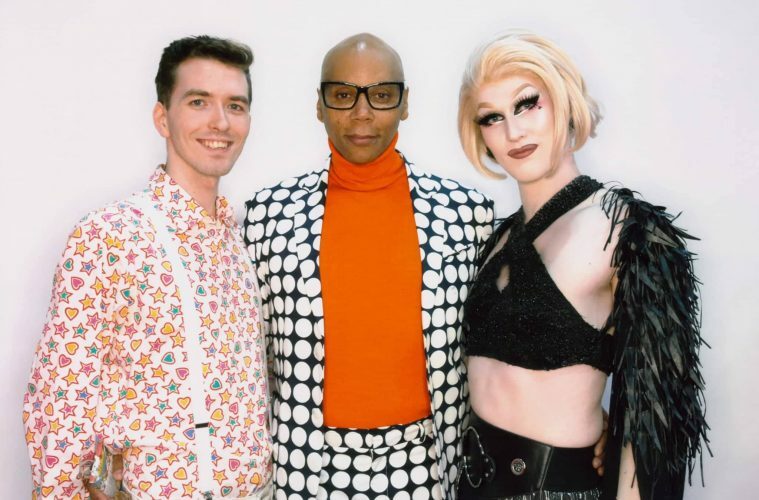 Gógó Starr: “OK, so last year, Drag-Súgur decided to go to the biggest drag convention in the world; RuPaul’s DragCon LA. With support from Pink Iceland, WOW air, Omnom Chocolate, Landsbankinn, Hárvörur.is and our fabulous fans, we made it to Los Angeles. We came to DragCon with the simple task of making new connections, new admirers and entice the people with tales of our new and exciting Icelandic drag scene, free chocolate and a huge raffle prize consisting of a luxury trip for 2 to Iceland. One of these new admirers happened to be a producer of RuPaul’s Drag Race, and was really interested in getting some Icelandic flavor into the sponsorship prizes for queens on Drag Race. After some talk with Pink Iceland, Omnom Chocolate and WOW air, we all happily agreed to put together one of the biggest main challenge prizes in Drag Race herstory, the Icelandic trip of a lifetime! And did I mention that we met RuPaul, talked about this adventure and gave her an Omnom chocolate bar? She promptly opened it up and took a big bite, moaning in joy at the deliciousness. After com-posing herself, Ru did comment that she had not been to Iceland yet, so I wouldn’t be surprised if she would end up using this prize trip for herself. Talking aboyt the trip, can you tell us already what you have in store for the winners? Founders and owners of Pink Iceland: Birna Hrönn Glimmer, Hannes and Eva María-Glimmer. ◦ All the tours will be tailor-made for each queen, where they’ll get the chance to experi-ence Icelandic nature and culture with guidance from one of Pink Iceland’s wonderful (and queer of course!) guides. Such exposure can be a springboard for queer tourism in Iceland. Would you say the country is a welcoming environment for an international queer clientele? Eva María: “Tourism has grown dramatically in recent years and we think – and hope – that we will see more specialization within the industry in the future with emphasis on quality rather than quantity. We live in a bit of a bubble in Iceland, especially those of us who identify as white cis-gendered gays and lesbians. These days we thankfully face less intolerance and hate than we used to a mere 15 – 20 years ago. Where we maybe feel it the most is when proving our worth, as Pink Iceland is a company owned and run by two lesbians and a gay guy and when we started there weren’t many companies or financial institutions that would give us the time of day. We had no investors and no money but we worked extra hard and have earned respect within the travel and hospitality world in Iceland. However Iceland, while not perfect, is a comparatively welcoming place for queer travelers. We’ve had very few, if any, issues with intolerance or less than exemplary behavior from our friends in the travel industry, not least because we work closely with our colleagues and edu-cate them where and when needed. Thanks for that Eva, and finally one last question relating to RuPaul’s show: who’s your personal favorite for tonight’s competition? Gógó Starr: “Since Valentina is no longer an option, I am hopeful that it’ll be Manila Luzon or Latrice Royale. The OGs all the way. But of course, it will be absolutely amazing to get any two of these six superstars. Make sure to check out this event.